S-Video / SVHS high quality video cable, fully shielded high definition oxygen free copper cable, attractive silver finish connectors with gold plated contacts. 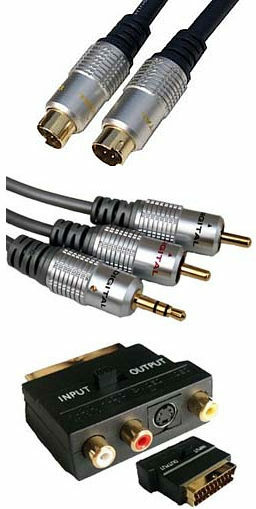 2 x phono to 3.5mm stereo audio cable for connection between sound card and scart adapter. 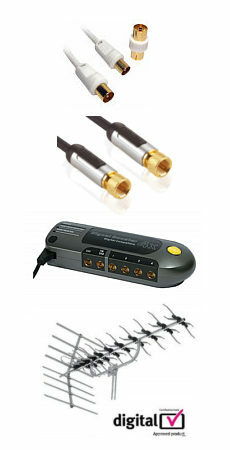 OFC Cable, metal body connectors with gold plated contacts. USB Extension Cable, Active Extension Cable 5m. USB active extension cable, 5m. Attach up to 2 USB Repeater Cables for a total maximum length for USB 2.0 of 10 Mtrs. Fully compliant with USB 1.1 & 2.0 specification. Connectors USB A female to USB A male.